When you are lucky enough to get involved in such an amazing project like View Tube it is hard to say no! What started out as a simple enquiry into buying some shipping containers turned into a great project when London shipping containers helped to play a pivotal role. 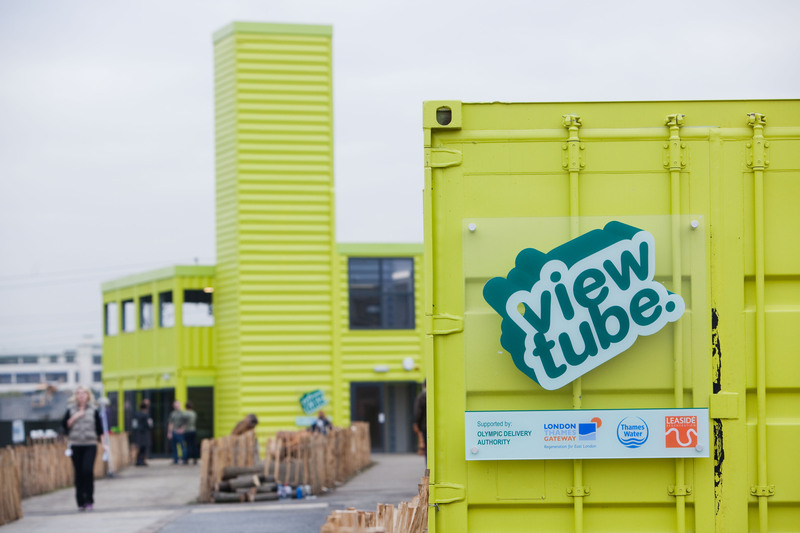 Back in April 2012 we were contacted by Mark Ashworth the project director of the View Tube. The request was simple for two 20ft containers to be painted and adapted to serve as a viewing point over the Olympic park whilst the games were on. As we have a history of working with conversions of shipping containers it was not a surprise that Mark approached us to quote for the project. However the project was set up as a social enterprise and community venue. After discussing the initial requirements with Mark it was clear that we could help The view tube grow into something much more. We agreed to take part in the project and quickly put Mark in touch with the engineers we use for container conversion designs. The original plans grew to be something else, something much larger and more exciting than was first envisaged. The expanded design includes a Cafe, bike hire facility and a community garden alongside a classroom for an arts education programme. The View Tube closed shortly after the Games this summer but will reopen in December with a large event where we will be present. We are very proud to have been part of such an amazing project and to have played a part in helping it grow into something larger and hopefully a sustainable business which benefits the local community.